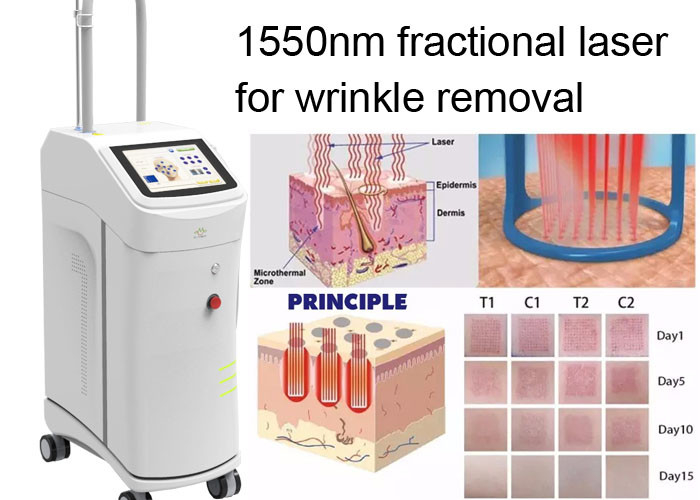 Based on advanced non-ablative 1550nm erbium-glass fractional laser technology, acts on skin by microscopic laser beams under the operation mode of static stamp or dynamic rolling. Its depth of penetration with minor lesions assures approximately non-invasive therapy, and proves accurate, safe and high-effective skin resurfacing and scars treatment with minimal downtime. Renas utilizes intelligent optical tracking system and randomized scanning technology, ensuring optimal effect for patients. ENIDLAS works by delivering multiple arrays of 1550nm microscopic laser beams to the skin, known as microscopic thermal zones. The treatment eliminates old epidermal pigmented cells and penetrates deep into the dermis, remolding collagen with stratum with microscopic treatment zone and long term regeneration. Dermis fiber thickens, micro wound heals quickly, skin restores smooth after several treatments, and the pigmentation risk is reduced effectively. Enidlas handpiece utilizes intelligent optical tracking system, ensuring consistent, predictable and uniform treatments, in significantly less time than traditional stamping mode. This system automatically adjusts to moving speed, while the hand motion distributes pulse evenly, providing better patients experiences. ENIDLAS works by delivering multiple arrays of randomized microscopic laser beams to the skin. These beams produce deep, collimated micro necrotic columns that can penetrate as far down as the reticular dermis, while sparing surrounding viable tissues. The outcome produces more natural, more uniform skin regeneration with minimal downtime and dramatic clinical improvements. The high speed of Dynamic Mode continuously delivers randomized beams and sufficiently covers large areas very swiftly. This is good for full face treatment such as skin rejuvenation or broad narrow scars.